A photograph of the gate at Glen Iris estate is accompanied by a map of Western New York roads leading to this destination. Also appearing are the state seal and that of the American Scenic and Historic Preservation Society, the latter suggesting that the organization may have been involved in creation of the postcard. 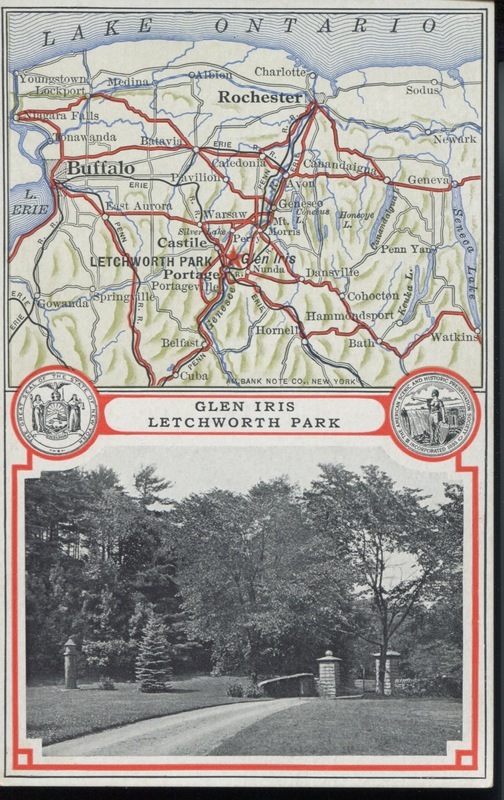 Courtesy of Letchworth State Park, Visitors Center, accession number LE.2003.REF. 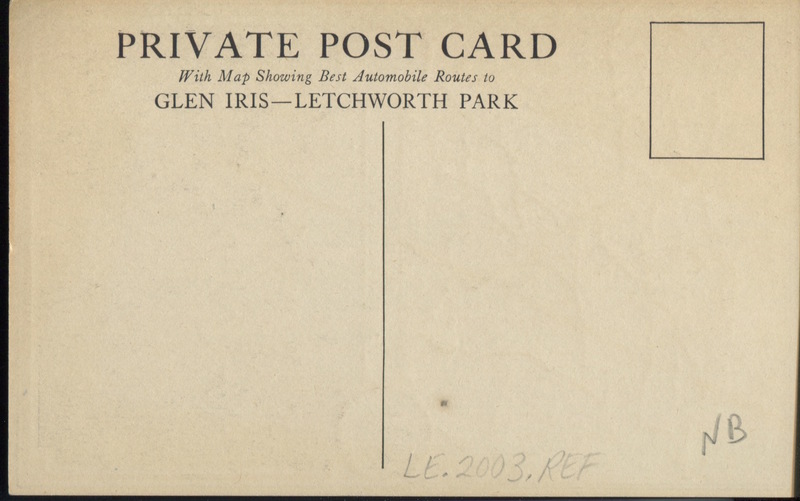 “Private Post Card: Map Showing Best Automobile Routes to Glen Iris--Letchworth Park,” OpenValley, accessed April 24, 2019, https://openvalley.org/items/show/610.